Introduction: On 6th May 2003 Philippe Gelinaud (PG) met Sandrine Piau (SP) at the Maison de Radio-France – the building of the French national radio broadcasters - where she was taking a break from rehearsing Mozart’s Zaide with Ton Koopman. PG: What is your earliest memory of Handel’s music and what did it mean to you? SP: I think my first memory is of Messiah … No, that’s untrue: I was first a harpist and I remember that I played … [hums the beginning of the Harp concerto HWV 294]. That was my first contact with Handel. Afterwards it was Messiah, which was a true nightmare because I didn’t speak English at all at that time! When we recorded Messiah with William Christie there were about fifteen coaches there to help us to have a good accent while I was still personally at the “My taylor is rich” stage! It was a sort of trauma and even if I am often asked to sing it now, I must confess I haven’t such a passion for this work which doesn’t really move me - no doubt there is a sort of communicative energy in it, but it is not the Handel I most appreciate. PG: What then happened to develop your interest in Handel? SP: Finally, the first big shock was when Christophe Rousset asked me to sing in his first Handelian recording project, Scipione, released on FNAC Music. The manager of this label didn’t want me for this recording as he believed that I was devoted to the French repertory. Christophe had to fight to compel recognition for me as his Cuzzoni! And for me it was a big musical revelation. All those magical Sicilianos, sad or languorous, as well as a sort of pure virtuosity I had never practiced before. PG: So it was something completely different? SP: With singing French music I had a lot of intellectual pleasure but no vocal pleasure. Thus Scipione triggered something off in my mind: I found my voice and my way. I realized that I love to sing this music, and was finally quite at ease with its virtuosity. It enables me to use a wider and higher tessitura with which I was more at ease, and of course it was a complete discovery of Handel operatic music which I had never sung before. PG: So you had never sung music by Handel during your apprenticeship? SP: Absolutely none! Not only was I first a harpist, but I played a lot of contemporary music. Then I joined Les Arts Florissants. At that time [William] Christie performed a lot of Rameau, particularly in Aix-en-Provence. But I didn’t sing a lot of tragédies lyriques, which I like a lot but often offers parts too low for me, or rather sung at very low pitches which do not fit to my voice - particularly in big theatres. Anyway, that is how I jumped into French baroque music. Then we performed Monteverdi a lot too, some Purcell, but not Handel until the Messiah recording in 1993. It was around then that Christophe [Rousset] and I performed Scipione at the Beaune Festival, and I remember how enthusiastic the audience’s reaction was. Christophe had written some amazing da capos and the audience really enjoyed this vocal pleasure, which is, in my humble opinion, part of what Handel wished. I remember someone in the audience who came after the concert and said: “Gosh, I had never heard you in this music, how well it fits to you!” And it was what I thought too. I owe much to Christophe Rousset, that is why I am going to record a Handel recital with him. Doing such a recording with him is just like completing a cycle, it’s obvious. PG: Has your perception of Handel changed since you did Scipione? SP: Not really. Scipione was such a shock! After that I tried to understand and analyse why it was such a shock. Before that I had considered Handel to be a composer whose music featured things that I didn’t particularly appreciate. I just didn’t know his music, and suddenly ran out of ignorance. When I was a teenager, I liked more complicated and dark things such as Bartok, the second Viennese school, or Britten – whose musical universe moves me a lot. I wasn’t at all involved in the music of the baroque and classical eras. The first shock to me was the encounter with Monteverdi’s music, and then with Handel’s combination of musical pleasure with deep emotion. Last, but not least, this vocal pleasure is essential to me, and now the more I sing other composers the more I come back to Handel! I think I could now enjoy my whole career with Handel’s music. I am particularly touched by Handel’s capacity – unlike Mozart – not to escape to his time conventions too much. Maybe part of Mozart’s genius was to use opera seria to make something totally different. Handel’s genius, as far as I’m concerned, is to keep those conventions and to manage to obtain this improbable alchemy of deep and pure emotion with a great technical skill in his knowledge of singing and singers. It is fascinating how intimately he had understood voice as an instrument. PG: Is that reflected in the music Handel composed for soprano voice? SP: To sing Handel is never a suffering, unlike to sing an opera seria by Mozart in which fast runs are very instrumental. After having sung Handel for eight hours in the same day during rehearsals, you still hum his music once on the way back to your hotel. There is an absolute luxury for singers: the respect of his instrument. Whether an aria is virtuoso, slow, sad, etc., there is a vocalità which enables to make people cry while being in an incredible vocal comfort. That’s something that is really fascinating, and the complete opposite to the Leçons de ténèbres by François Couperin for example, in which suffering is a required component. In Handel’s music there is this sort of miracle, to have a real pleasure to sing, a true vocal delight while expressing the deepest pain. PG: Thus, how would you define the Handelian vocalità? SP: Like gymnastics. As I said, there is a true respect for the instrument, for the body. Whether it is due to knowledge or totally instinctive, when you start studying a Handel aria, you feel good, the music takes its place naturally. You work like an athlete would warm up, there is a very healthy feeling. You can isolate the technical aspect, and once the mechanics work, all is going naturally. In slow arias, the search for colours, and the characterization - notably thanks to the orchestration - is very important. These condition the way you sing the aria. Nothing is stilted but there is no moving of the vocalità. I would say there is such an obvious comfortable nature of the music that you can tackle a complete opera with six or seven arias and a duet just like warm-up exercises. PG: Considering you discovered Handel when you were already a professional singer, I suppose you didn’t have models among elder singers concerning the interpretation of his music? SP: Indeed - I didn’t listen to any music by Handel. I must admit I have never heard the famous recordings with singers such as Marilyn Horne. Thus, I haven’t had any model concerning the interpretation of Handel’s music. But I did have some models concerning the colours and the processing of the voice in general. Margaret Price, for example, could have sung baroque music. She is able to produce straight sounds while singing some music by Wagner! She uses her voice as an instrument, which is quite a ‘baroque’ approach, and is absolutely essential for certain pieces of music. Considering Handel, it can sometimes be a plus, even if he likes the voice itself. So, Margaret Price is one of my great models because of the light she has in her voice. I also very much like people like Christine Schäffer or Barbara Bonney, who try to have an instrument which can mix its colours with the colours of other instruments, whether they are violins, woodwinds, etc. I love some tenors too, particularly Anthony Rolfe-Johnson, who is a fabulous musician. I remember I sung with him a Johannes-Passion by Bach. I cried and thought it was impossible for me to stand up and sing on his side. I love such an approach in which you can feel that the voice is a vector used to communicate a text and is not just here to produce a sound. PG: On a vocal, a musical or a dramatic point of view, do you have any particular favourite Handel roles that you sang in the theatre, studio, or in concert? SP: Yes - without any hesitation: Cleopatra in Giulio Cesare. Unfortunately, I performed it in concert and not on stage. When Christophe [Rousset] asked me to sing it in Montpellier, I was already engaged for Robert Carsen’s production of Britten’s A Midsummer Night’s Dream in Bordeaux. But Laura Claycomb wasn’t free for the Paris concert in the Théâtre des Champs-Élysées. There were no rehearsals involving me, just a short session during the afternoon before the concert. Therefore I had worked a lot to be ready, and I even didn’t know who the other singers were going to be! PG: Are there any Handel works or parts that you would really like to perform in the future? SP: All of them! [bursts out laughing] I want them all! I enjoyed singing Dorinda in Orlando a lot, and I would like to sing Angelica. I would like to sing Almirena [in Rinaldo] on stage too. For my Handel CD, I have selected a splendid aria for Melissa in Amadigi, and I am very impressed by this part. PG: It was Natalie Dessay’s withdrawal which enabled you to sing under Emmanuelle Haïm in the serenata Aci, Galatea e Polifemo. Had you sing it before? SP: No, I didn’t know this work at all, I just knew the English and very different Acis and Galatea. Aci, Galatea e Polifemo is quite an amazing work for me, with Aci having a high voice while Galatea has a lower one. There is also the tremendous technical and expressive expectations of Polifemo’s part. But there are such beautiful moments as Aci’s death, using a music similar to the duet from Dixit Dominus. In fact, it was all the more strange for me to sing the role of Aci because it was the first time I had sung a male part. PG: How do you make decisions about ornamentation and cadenzas in da capos? SP: I have very often sung Handel’s music under Christophe Rousset, and he is generally used to writing the da capos himself in order to give a stylistic coherence to the whole performance or recording. Furthermore, he composes them considering each singer’s personality as the da capo is supposed to enhance the singer. When Emmanuelle Haïm was Rousset’s assistant, she sometimes wrote some da capos or we composed them together. But when I recorded the arias and duets CD with Gloria Banditelli, under Fabio Biondi, I wrote the da capos myself - as is often the case when I don’t work with Christophe Rousset. Otherwise, I ask Jérôme Corréas, who is an outstanding champion, being a singer, harpsichordist and a conductor. Compared to Christophe [Rousset] and Emmanuelle [Haïm], Jérôme immediately understands the singer. Thus he does not look for something complicated and more or less efficient, but rather for something simpler and more perceptible for the audience. Instrumentalists sometimes write slightly convoluted things, with many notes. But when one da capo aria follows another, you often just need to find a striking element. Jérôme is excellent at that. He wrote a few da capos for my Mozart CD [Naïve Astrée E8877], and I have already asked him to suggest some for my next record. As Christophe Rousset is my guest on this CD, I don’t know yet if he will suggest some da capos too. As there will be an aria from Scipione that Christophe and I already recorded before, I asked Jérôme to write something totally different for me to sing this time. PG: Whether your da capos are composed by C. Rousset, J. Corréas, or yourself, do you sing exactly what is written? SP: Jérôme is able to sing incredible da capos with nothing written on his score. As far as I am concerned, I sometimes change some little things, but I am quite timorous. I would be very anxious not to land on my feet. On the other hand, I sometimes write two or three different possibilities using the same frame and I choose considering my form. Paradoxically, I am more at ease to improvise with French music, but that is just because I studied it a lot with William Christie. PG: Concerning your interpretation of an aria, is your approach based on musical characteristics, the meaning of the text, or the dramatic situation? SP: It depends… In Handel’s music, there are wonderful arias with more or less interesting texts, particularly in simile arias. I think it is not degrading to speak about ‘luggage’ arias, i.e. arias that can be removed from their context: such arias can represent moments of pure virtuosity or gracefulness – Handel is excellent for such pieces – in which the text has almost no importance. Thus the text can act on the expression more due to the colours of the words rather than their literal meaning, and the whole entity is linked to a psychological state. Besides, I would like to add that the fact such arias are used to lend credibility to the profession of singer is not a negligible approach. But of course, in other cases the text is absolutely fundamental, particularly in sad and slow arias, in which there are repeated notes and the enunciation of the words is often interrupted by silences. Each note comes after the others and you have the feeling that music exists just through the words: you pronounce this syllable, and the next one, and thus the music comes to life. Those different approaches all belong to the great richness of Handel’s music. Sometimes the music comes to life from the words, sometimes it is almost pure music. It depends a lot on the context. PG: What are your future Handelian projects, on stage or in studio? PG: There were rumours about a recording under Christophe Rousset of Arianna in Creta, a work that was performed in concert several times and with great success during summer 2002. Do you know if that recording is going to be made, and, if so, would you be part of it? SP: I don’t really know. There was some talk of publishing a recording of the concerts performed in Halle and Beaune last summer. I am not especially keen about publishing concert recordings which weren’t made to be released on CD, all the more I think the best performance, somewhere else in Germany, was not recorded. Marc Minkowski often makes live recordings, but the whole performances and tour are organised knowing they are to record some performances. That is certainly an interesting solution, from both artistic and financial points of view. Considering the financial situation of the classical CD market, if it enables us to lower costs and to still record works like Arianna in Creta or Faramondo, thus it is definitely a good solution. It is absolutely regrettable that because of financial reasons it is so difficult to offer such rare and beautiful works to the audience. Concerning Arianna, we didn’t know it would be so successful. I think it would be better to record it in studio. Naïve is a marvellous independent label: it is always possible to discuss with them, thus, who knows what will happen? Famous sentence used in France in methods for beginners. This recording is not available because the label no longer exists. Mrs Piau plays with the words as in French the words « voix » (voice) and « voie » (way) are pronounced the same way. 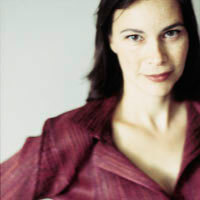 Sandrine Piau used the term « vocalité » to which there is no equivalent in English but the Italian one. A city not far from Paris with a good theatre. Marc Minkowski’s recording of Ariodante and Hercules were made there.